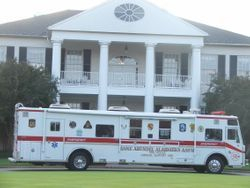 CW-1, the Ranger, in front of South River Golf Club November 2007. 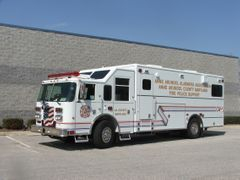 Our new CW-1, the Pierce, shortly after delivery. In March 1965, our new building was under construction, and was dedicated in July 1965. The International Fire Buffs Association was having their national convention in Baltimore that year, and many of them attended the dedication. Originally had two bay doors in the front. 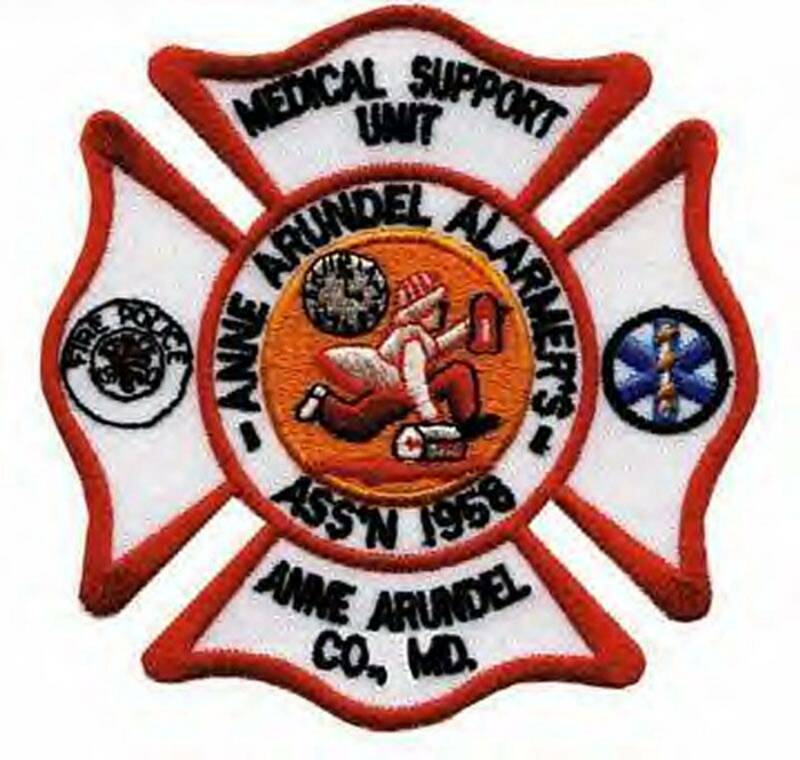 The Anne Arundel Alarmers Association is a volunteer group, loosely affiliated with the County Fire Department. We are are a member group of the International Fire Buffs Association. We maintain an active roster of 40 members. We operate as a re-hab and canteen unit, and respond to major emergencies, to provide refreshments to exhausted first responders. The Alarmers are dispatched to all 2nd alarm or greater fires, or to any other emergency that will be of long duration. We can be called to any emergency that the incident commander thinks we could be of service. On a cold January night in 1958, Al Brandt, George Lord, and Harry Arrow were at a Kiwanis meeting, when word came of a major fire in Glen Burnie. The A&P store on Crain Highway was heavily involved. The temperature was near zero, and firemen were going to nearby stores, to get some hot coffee, and a break from the firefighting. Al could see there was a definite need for a canteen unit, such as Box 414 in Baltimore City. And so began the Anne Arundel Alarmers Association. The men used George's station wagon as the first vehicle, equipped to serve only coffee at fire scenes. The Alarmer’s first meeting was held on May 16, 1958. At that meeting, Al Brandt was elected president; Harry Arrow as vice-president; George Lord as treasurer, and Ben Tracey as secretary. Wilbur Brandt and William Patric were elected directors. Other charter members were Duane Hay, John Hruska, Bill Tudur, George Abrauskus, James Wells, and Edward Brinley. Those first meetings were held at the home of William Patric on Vista Avenue, in Ferndale. 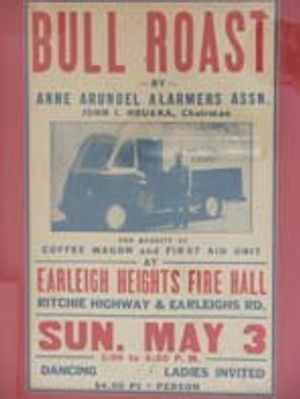 The first fund raiser was a Bull Roast, held on Sunday, May 3, 1959, at the Earleigh Heights fire hall, on Ritchie Highway. The cost was $4. The group quickly realized they needed a larger unit to provide their service with. They bought a used 1949 International step van from Consolidated Delivery, for $75, and converted it for their use. The new unit was dedicated on September 4, 1958. The only equipment it had was a coffee urn, and some storage space. 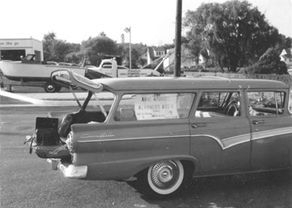 According to an article in The Evening Capitol, the first run for Alarmer's new wagon was a 2nd alarm building fire, at the Anchor Inn, on Water Oak Point Road, in Rivera Beach, on November 9, 1958. By this time, the Alarmers had 16 members, and decided to limit membership to 30 members. Dues were set at $1 a year. They were already looking for a larger unit, something that could not only serve coffee, but hot food, and cold drinks as well. Some members felt the need to have a first aid capability. 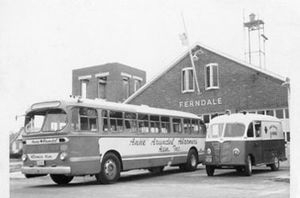 On October 17, 1958, the Alarmers purchased a 1949 ACF Brill transit bus from Harford Motor Coach, for $3000. Over the next 19 months, the members worked to convert the bus into a canteen unit. The new unit was dedicated on May 5, 1960. The Alarmer’s new bus was divided into 2 sections. 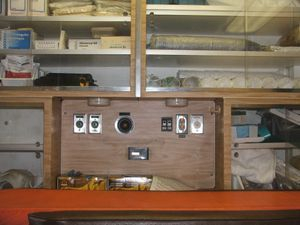 The larger front section was equipped with cabinets and counter top donated by Nevamar Carefree Kitchens, Inc., in Odenton ( and later became National Plastics plant in Odenton); and installed by John Berry. This section provided storage space, and working space to prepare and serve food and coffee. The kitchen space included a double burner gas stove, a kitchen sink, 2 forty gallon tanks for hot and cold water, 2 double coffee urns, 2 propane bottles, and a new fire department radio. 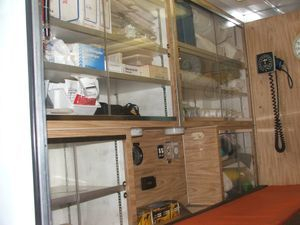 The smaller rear section featured first aid equipment, medicine chest, examination table, 2 bunk beds with mattresses, and oxygen equipment. Many of the Alarmers received certificates from the Red Cross First Aid Service. The first call-up was done by phone tree, and they responded to both fire calls, and calls to assist the police department. In early 1964, the Alarmers began looking for property to build their own building on. Since 1958 they had been using space provided by the Ferndale Volunteer Fire Company. They found a small grocery store at the corner of Glenmont and Eugenia Avenues, in Ferndale. In November 1964, the store was torn down, and the front half of the present building was built. The new building was dedicated on July 10, 1965. That building provided space for CW-1, office and storage space, a meeting room, and recreational area. 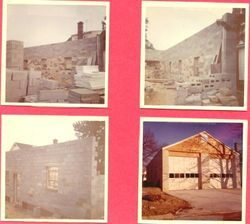 In June 1970, an addition was added on to the rear of the building, providing more storage space. 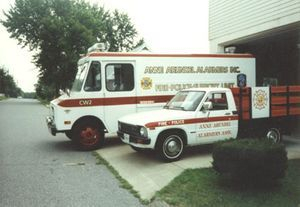 The Alarmers were able to buy their first new unit in 1969. The new unit was a 1969 Twin Coach, purchased for $18,000. It was designed and built by Hiway Products Inc., of Kent, Ohio. This new unit was dedicated May 5, 1969. The new coach had a combined refrigerator/freezer unit, air conditioning, an onboard 12 KW generator, and an updated first aid area. Several of the Alarmers had maintained their Red Cross First Aid certificates, and kept the area well stocked. In addition, a new as-needed hot water heater was added, providing hot water for the duration of a long term incident. The next new unit the Alarmers were able to buy was a 1989 Ranger, dedicated June 18, 1989, purchased for $250,000. It is built on an Oshkosh chassis, and has one major upgrade over the Twin Coach, with the addition of a small bathroom in the origional design. In addition to a double burner stove, a 6 gallon hot water heater and a propane fired grill were added. The first aid area was upgraded by a new EMRC radio. But as time passed, the Red Cross First Aid training was phased out, and the EMT level training as we know today, has become the standard. Today, the first aid area is still available, but has been rarely used to provide medical attention. In June of 1991, the Alarmers were looking for a backup unit, in the event CW-1 was out of service for any reason. A 1965 Chevy step van was donated to the Alarmers by the County, to become CW-2. It was converted by the members to serve as a coffee wagon. The van was outfitted with single burner gas stove, an ice box, a small refrigerator, counter space, a single coffee urn, and fresh water tanks. The unit was used for several years as a backup unit, and was returned to the County in 1998 to become an air cascade unit. In April of 1999, a new step van was purchased as the back up unit CW-2. It was built on an International chassis, with a Gruman/Olsen body. The working area was built by Yaissle Body Fabricators of Pottsville, Pa. The new CW-2 is air conditioned, has a double burner gas stove, a double coffee urn, kitchen sink, refrigerator, ice box, fresh water tanks, a 4 gallon hot water heater, and counter space. Power is provided by a 7 KW generator. In March of 2004, a small space behind the driver was converted to a bathroom. CW-2 is currently in use today, and is used primarily for scheduled events. Our present CW-1 is a 2008 Pierce built on Saber chassis, and powered by a Cummins 330 HP diesel engine, and an Allison EVS 3000 5 speed automatic transmission. The kitchen area was designed and built by Custom Products Company, from Hammonton, NJ. We included modern upgrades in the design of the new unit. There is a larger bathroom, a larger kitchen area, and the EMS area has been removed. The new unit was dedicated on July 12, 2009, in memory Louis "Al" Brandt. Al was a co-founding member, a charter member, and our first president. The Alarmers have responded to some of the most important events in the area. 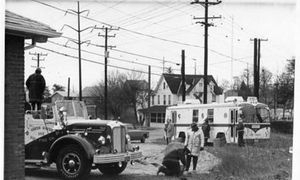 On Feburary 3, 1961, the Alarmers were called to assist at the scene of a train derailment in Bowie. The Alarmers were on scene in December 1963 when a Boeing 707 crashed near Elkton killing 81 people. 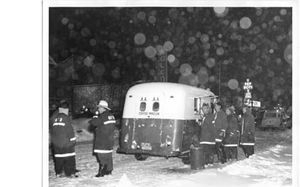 In February 1966, the Alarmers were called on to assist road crews during a blizzard that paralyzed the county. In May of 1970, the Alarmers were on scene for 14 days, assisting State Police during anti-war protests in College Park. In July 2001, the Alarmers responded to the tunnel fire in Baltimore, and were on scene for 4 days; and in December 2004, the Alarmers were on scene for 10 days at the multi-home arson fires in Charles County. More recently, in January 2015, the Alarmers were on scene for 9 days at the mansion fire in Annapolis; in April 2015, the Alarmers were on scene for 6 days at the great mulch pile fire on Kembo Road; and in May 2015, were on scene for 6 days during the civil unrest in Baltimore City. As we enter our 61st year of service, our focus now is to be more of a Rehab unit, than just providing food and refreshment. Since our inception, our standard fare has been coffee and doughnuts at fire scenes. In recent years, our firefighting force has become younger and more health conscious. Seldom do we serve doughnuts at fire scenes. Oranges, apples, and bananas have become the favorite. During the past year, we have been working with the fire department administration, to develop the Alarmers into a ReHab operation, as spelled out in NFPA 1584. We have converted our pickup into a ReHab unit, to carry misting fans and cooling tents in the summer, and propane heaters for the winter. We are able to provide all the ReHab functions of NFPA 1584, except the medical monitoring. We work with a county para-medic to provide that. There is a strong nucleus of members to carry our mission into the future. 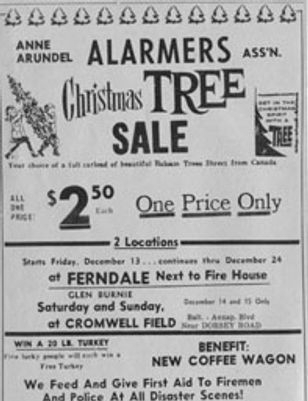 Our first Christmas tree sales was in 1958, and was our primary fund raiser. The cost was $2.50 a tree. Our very first CW-1 was George Lord's station wagon. Not much we could do with that. In the early days, the Ferndale Volunteer Fire Company let us keep our units on their parking lot. Units sat out in the weather and were slow to get ready. Our first CW-1 operates at a fire at the Glen Theater building on Crain Hwy in Glen Burnie. CW-1 the HiWay Products unit, operates on a brush fire off of Burns Crossing Rd. Sometimes we're able to get off the road, and get closer to the fire fighters that need us. This is in the area where the county landfill is now. 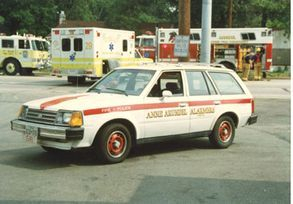 In the early days we had a Vega station wagon we used as CW-3, our supply vehicle. This is the only picture we can find of a 2 ton stake-body truck we had at one time. Think we used it mostly at Christmas tree time. 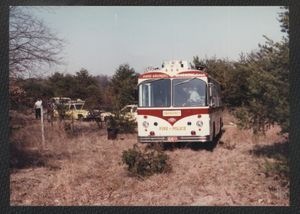 CW-1 -the HiWay Products unit, operates on a fire on Camp Meade Road in Linthicum. This is CW-1, the Ranger, operating with Trooper 1 at a brush fire, in March of 2006. This was a large brush fire off of Dicus Mill Road. State Police were taking chief officers up to guide ground units to hot spots. This is the ALS area on CW-1, the Ranger. These pictures are circa 1994 or a little before. The EMS area was stocked with the same drugs the PM units were carrying at the time. PM-32 used to come by once a week, and check the drugs and supplies. 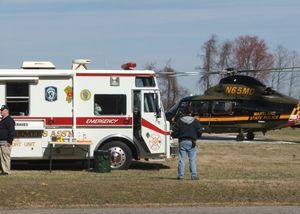 The EMS area was set up to do triage at a mass casualty incident, or treat an injured firefighter. About the closest we ever got to doing EMS was cooling firefighters down in the summer time, or warming them up during the winter.